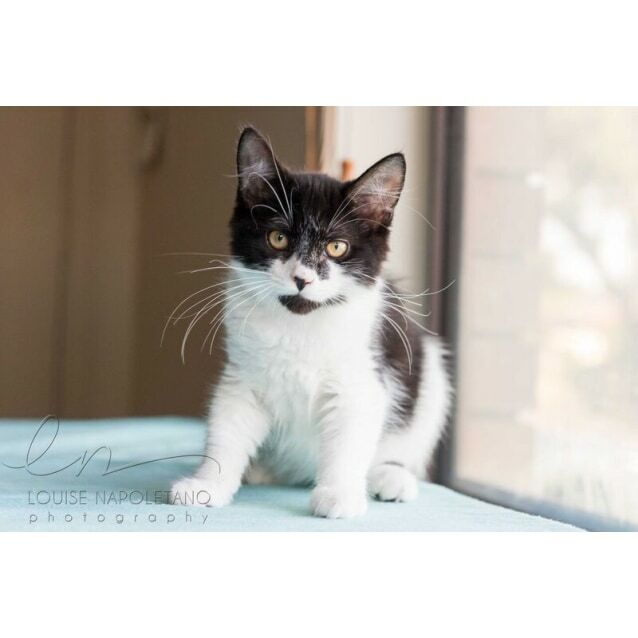 Contact Gaby at Blacktown Animal Holding Facility to express your interest. 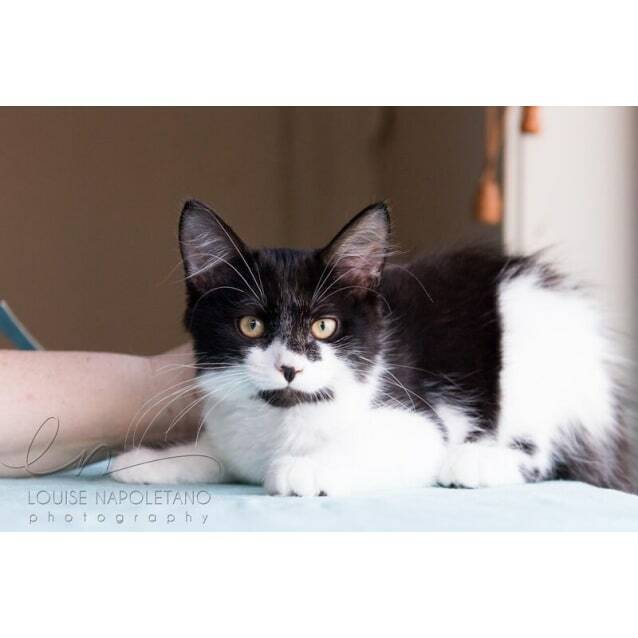 Are you looking for a black and white butterball of a fluffy purring kitten (and one of her siblings) to join your family? Do you need a cat to walk across your keyboard? Climb on your chest and purr her hardest and put her little tail in your face? Come on, you know you need this in your life! Its what you've been looking for! Wilhelmina is an amazing little kitten. Seriously. She's awesome. I'd adopt her just like that if I could. She's the big sister of four kittens who came into care with me. 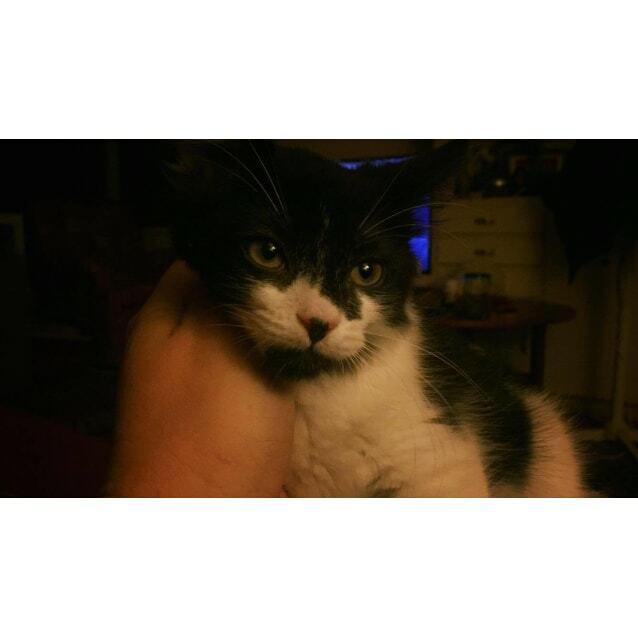 She's a perfect kitten and I am seeking the perfect home for her and her siblings: Walter, Wanda & Willow. 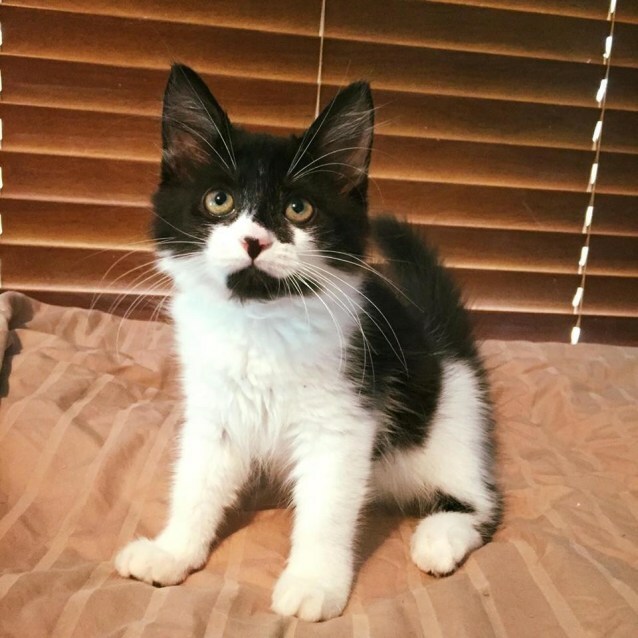 She's a confident outgoing kitten and I am absolutely in love with her and I know you will fall for her too in a heartbeat. At the end of the day, after work, and after everyone's been fed, Wilhelmina and her siblings join me on the lounge for purrs and pats. Best. Thing. Ever. Who wouldn't want to come home to that? Wilhelmina's Loves: Chasing the broom while you try to sweep. Mousie toys. She really loves mousie toys! Throwing herself under your hand for a purry pat. Cuddles. Kisses. Snuggles on your chest. Interrupting your typing. Interrupting me while I write her biography to assist her adoption. Purring. Balls with bells. Thick ribbon. Gentle chin and face rubs. More purring. Sleeping in a kitten hammock. 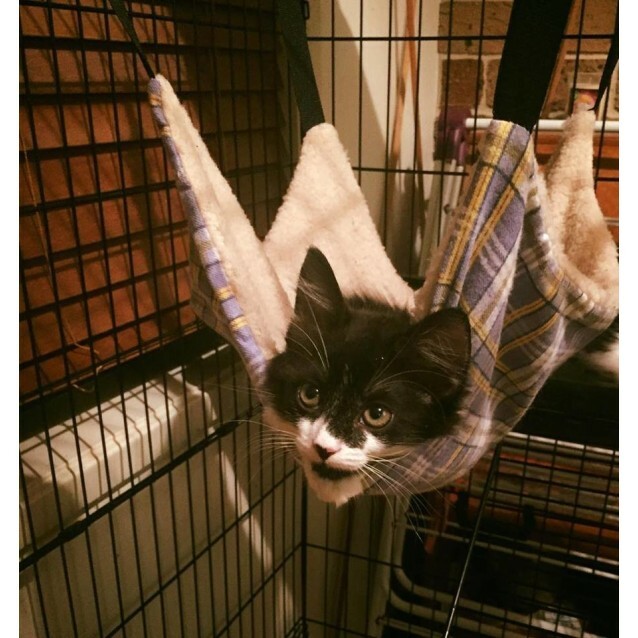 Looking ridiculously cute (especially in the kitten hammock!). Fruit boxes with holes for poking paws through. Playing with her siblings. Being adopted and loved unconditionally. Wilhelmina’s Dislikes: Vacuum cleaners. Thunderstorms. Not being cuddled or patted (so if you adopt Wilhelmina, its your DUTY to cuddle her). These little ones have grown up in a home with each other, kitten friendly adult cats and two cat friendly dogs. It’s time for them to find their own homes where they can be showered with love and attention. So essentially, they’re gorgeous, they’re socialised, they’ve lived in a home environment and as far as I’m concerned they’re perfect! 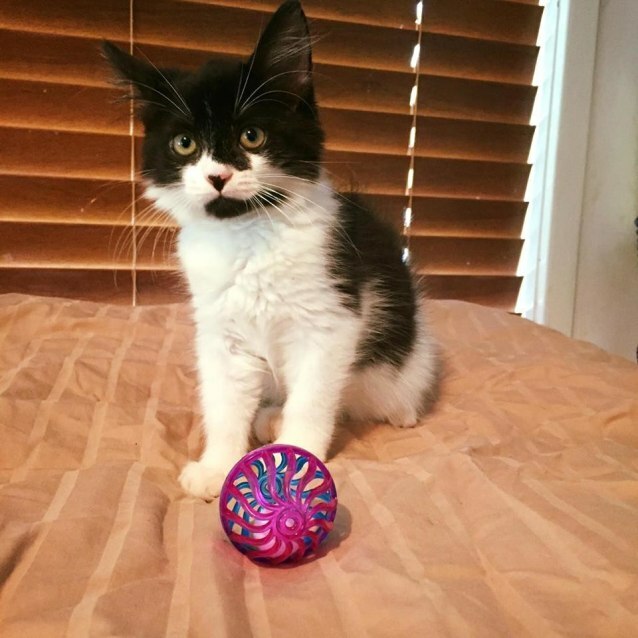 You’d be blessed to have these tuxedo fluff balls in your hearts and homes. 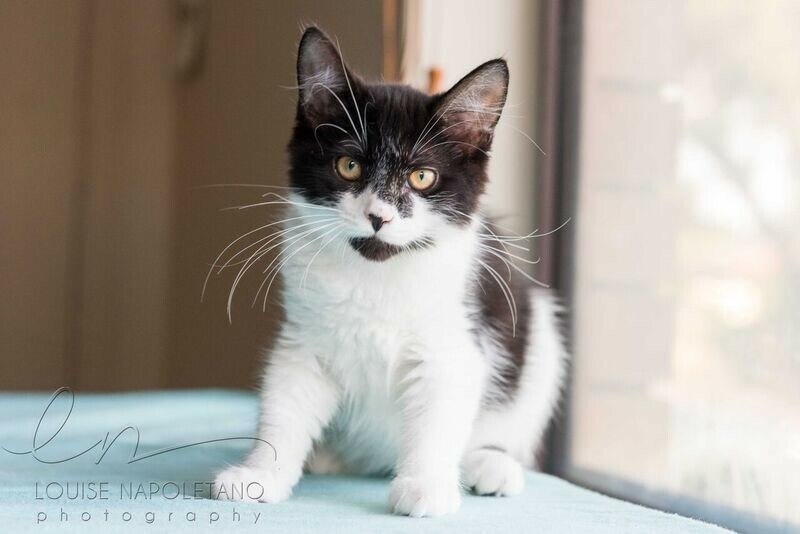 I would love, absolutely love for Wilhelmina to be adopted with one of her siblings. In fact any one of them as they all snuggle with one another at different times. If you are interested in adopting two (and you really should be!) - Two kittens are great as they keep each other company and teach each other kitten-cat social skills. It’s a myth that cat’s don’t like company. They totally do! Two means they have someone to snuggle with and someone to play with when you’re not home. It's also incredibly entertaining watching two kitten’s play! This is in fact why I have no memory left on my phone. It's perfect really! You also get double the love, double the purr. Its a win win situation. 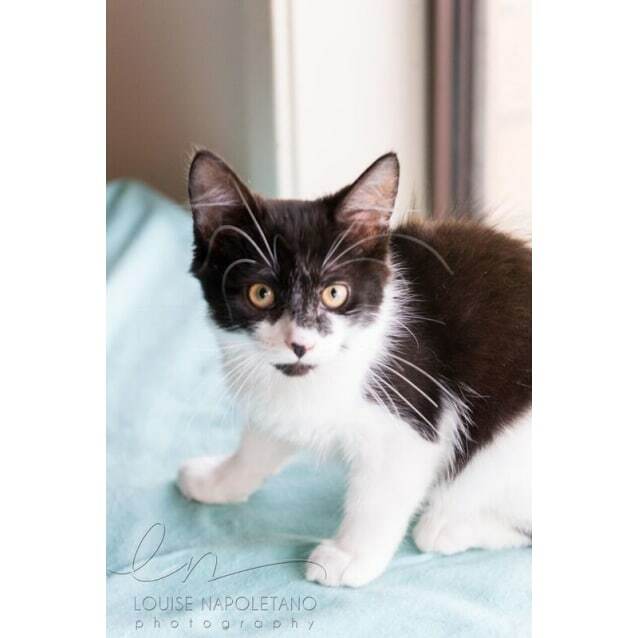 Ask Brandon about the adoption fee for Wilhelmina and one of her awesome gorgeous siblings.